It's no secret that the general belief regarding Nintendo home consoles is that you only buy them for Nintendo games, and third party titles are generally ignored. That's the price you pay when you're Nintendo, one of the best game publishers in industry history. However, not all of the Nintendo fan base ignores third party games, and for those that do, I surmise that there is a believable reason as to why they do. Note that I don't necessarily agree or disagree with the rationale some fans use towards their animosity towards third parties. I'm simply trying to get a better understanding of their mindset and explain that. In the NES and Super Nintendo days, Nintendo had a very strict policy regarding third party games. At one time publishers could only put five games a year on Nintendo's systems as a means to avoid an Atari situation where there was more garbage games than good games. In fact, some publishers created new companies just to get around Nintendo's rule. As a third party company you had to get licensing from Nintendo to get around their lockup chip in order to develop games for the big N's platforms. 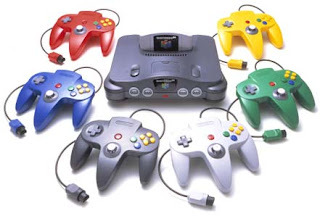 With the Nintendo 64, the most damning thing Nintendo did was stay with cartridges as opposed to the new medium for games, compact discs. This cost Nintendo a ton of support of which they never recovered from on home consoles. The GameCube is an interesting case because it's the opposite of what Nintendo is doing now. Nintendo developed a console that was in the same power bracket as the PlayStation 2 and original Xbox. In fact, in many ways it outclassed Sony's machine. However, third parties eventually stopped supporting the system as the console's sales were not particularly impressive. The added inclusion of mini DVD discs for games only hindered Nintendo's system and relationship with third parties. What makes this so memorable to older Nintendo fans is that Nintendo had a powerful console and yet third parties still ignored the system for the most part. Rockstar ignored it, for example. It gave the belief that no matter what Nintendo does, third parties will never support their systems. Then there's the Capcom 5, a term used by many journalists and Capcom themselves. These were supposed to be five exclusive games for Nintendo's indigo lunch box... er... console. However, one of the games, Dead Phoenix, was cancelled, one game was eventually ported to the PS2 with new content (Viewtiful Joe), one came out the same time as the GameCube version on the PS2 (Killer 7), and one was announced right before the GameCube release, basically killing any chance of the game selling well on Nintendo's system (Resident Evil 4). By the end of the fiasco, only one game remained exclusive to the GameCube, and that was P.N. 03. If you were a Nintendo fanatic during this period, there's no doubt you were miffed at this arrangement by Capcom. It wouldn't be the last time that one could say Capcom "screwed over" (as some have put it) Nintendo fans either. 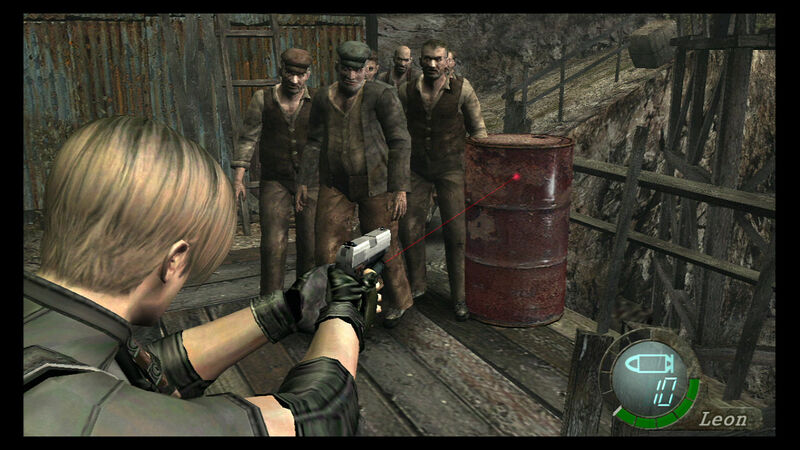 This is actually the HD port of Resident Evil 4. Let's talk Wii, shall we? I believe this was the generation that made Nintendo fans particularly weary of third party efforts on Nintendo home consoles. Nintendo was coming off the GameCube, a console that many third parties abandoned towards the end of its lifespan. This is pretty much where the "third party games don't sell on Nintendo consoles" mantra came from. Seeing the GameCube as a wasteland for third parties and thinking that Nintendo's next home console, the Wii, would not fare any better than its last effort, third parties essentially put all of their eggs in the two HD twins' baskets, ignoring Nintendo's new system, save for publishers like Ubisoft. But then something bizarre happened that many people could not have expected (and for those that did expect it, mad props to you): the Wii broke through as a sales juggernaut. Third parties were basically caught with their pants down. They had invested all of this money in HD development, and here they had the low power Wii being sold out everywhere. Rather than admit they were incorrect in their assumption that the Wii would sell poorly and invest in the Wii with some genuine support, most third parties doubled down on their HD bets. They figured the Wii would be this one year fad, and soon Nintendo would be at the bottom of the home console food chain once again. However, this did not happen. 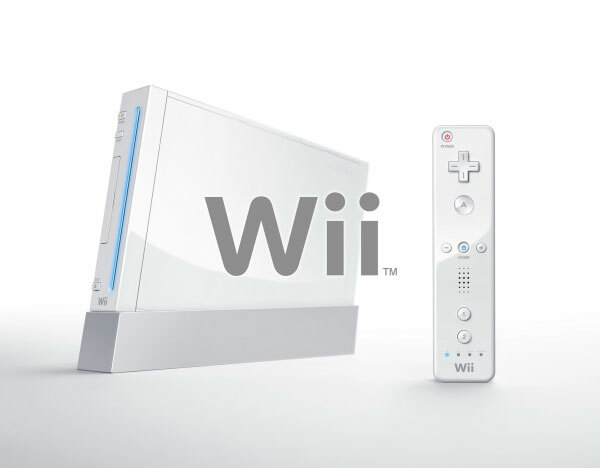 Some third parties supported the Wii at the start. Ubisoft had Red Steel, whose execution was on the off side. However, Capcom had games like Resident Evil 4: Wii Edition that sold over one million copies on the system alone. 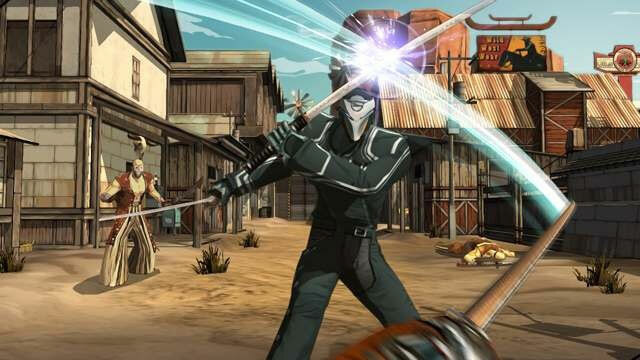 Instead of following it up with a new game in the series with the same excellent controls, Capcom opted to make a light gun shooter as the RE followup for the Wii. This action pretty much ruined their momentum on the Wii. What followed were a series of "test games", which practically boiled down to "buy this game and maybe you'll see some honest support from us." These so-called "tests" were essentially made for Wii owners to fail. Thus, sufficient support never came, and thus, you have a reason for Nintendo fans to be bitter. Another reason for this is the quality of the games. You see, most third parties stayed with their major franchises on the HD platforms. When a port of one of those games arrived on Wii, it was made by a B or C team-- never the original developer, and god forbid if it ever was an A team. And no, I'm not talking about the one with Mr. T on it. When effort was put into a third party game, it was sent to die, for lack of a better phrase. No marketing, little word of mouth on message boards, and so forth. Games were essentially doomed to failure, and many Nintendo fans had the paranoid thought that third parties were intentionally setting their games up to fail so they would have an excuse not to support Nintendo consoles. It's important to note, though, that some efforts that DID get marketing did well, but sometimes it didn't. This isn't and wasn't an exact science. Sometimes a game gets all the backing in the world and it still bombs. On that token, some success stories included Monster Hunter Tri, Resident Evil 4: Wii Edition, Red Steel, and the series of wonderful Tiger Woods PGA Tour games. By the time real effort was put into games like Red Steel 2, for instance, the damage had been done. Wii owners were incredibly weary of third party games, because they had been burned by half-baked efforts for the longest time. Who can blame them after seeing how much crap was put on the Wii by said third parties? Therefore, Wii owners stuck with Nintendo games, and simply perpetuated the stereotype that Nintendo fans only buy Nintendo games. it came out too little too late for most. Now we have the Wii U, which third parties have already abandoned for the most part. The argument is that Nintendo fans don't buy third party games anyway, but I'd argue that the Wii told a different story at first. It's my opinion that third parties destroyed any goodwill with Nintendo console owners with the Wii by initially ignoring the platform and turning their backs on the system and its user base. I don't blame third parties alone for not supporting the Wii U, and neither should Nintendo console owners. No, Nintendo is very much to blame, specifically Satoru Iwata, company president. When you say you're gunning for third party support this time around, and somehow you have less support than previous generations, I'd hate to see what their idea of ignoring third parties would be. 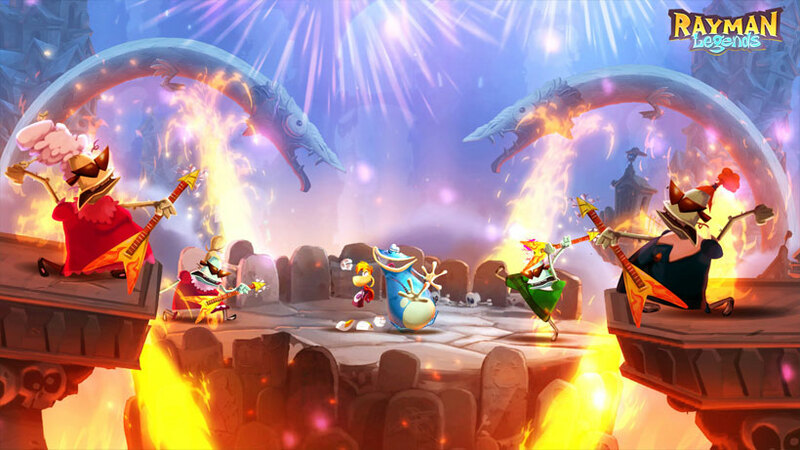 The latest fiasco was Rayman Legends. I won't go into too much detail as you can read SPC's entire piece on the debacle here, but Ubisoft took a finished game and delayed it more than six months so it would release the same time as the newly announced PS3 and Xbox 360 versions. To say that this incident ruined a lot of Wii U owners' opinions of Ubisoft would be an understatement. It's another example of a third party doing something questionable against Nintendo console owners. had it not been unfortunately delayed. Hopefully by now you can understand why some Nintendo fans avoid third party gaemes. Who knows if the relationship between Nintendo and third parties will ever heal. Some Nintendo fans still hold grudges for multiple reasons, like some explained above. Regardless, indie studios seem to be interested in the Wii U while the bigger publishers seem to be ignoring the system. Reading between the lines you can say it's because of the system's sales, but it's sort of a self-fulfilling prophecy because without games, there's little interest in the system, thus leading to low and anemic sales. Is the relationship between Nintendo fans and third parties irreparable, or can they finally trust publishers like EA, Ubisoft, and Activision to deliver compelling content to Nintendo's home consoles? We're interested in your thoughts on this article. Did SuperPhillip get it wrong this time? Let us know in the comments section. Remember to be respectful to your fellow commenters.